For US president Barack Obama, the earth's most powerful man, Brazil's Luiz Inácio Lula da Silva is the planet's most popular politician. He said that around other world leaders just before the start of the G20 summit, this Thursday, in London. A video of the event shows Obama shaking hands with Lula and then telling Australia's prime minister Kevin Rudd that the Brazilian leader is his man, a guy he loves. Rudd himself reinforces the praise adding: "He is the most popular politician with a long mandate." Lula has been in power since January 1st, 2003. "That's my man right here," Obama said while greeting Lula. "Love this guy. He's the most popular politician on earth. It's because of his good looks." Lula is no leading man, but Obama seems to be acknowledging the Brazilian president's popularity among Brazilians, which has been hovering around 80%, (84% in February, 76% more recently). This it the same Lula that just last week said that the global economic crisis "was fostered and boosted by irrational behavior of people that are white, blue-eyed, that before the crisis looked like they knew everything about economics. Now they have demonstrated that they don't know anything about economics." And the Brazilian leader added "no black man or woman, no indigenous person, no poor person" can be held responsible. "I was in Brazil last week and I think President Lula will forgive me for saying this – he said to me, 'When I was leader of the trade unions, I blamed the government; when I became leader of the opposition, I blamed the government; when I became the government, I blamed Europe and America.' And he recognizes, as we do, that this is a global problem." If you didn’t read the Trial of the Trotskyites, you wouldn’t have an idea of what I was talking about? Only that they were “moscow trials” or “Purge trials” for Stalin to butcher his enemies? the sins of others . anyone who trumps up stalins prosecution notes as the truth…. THE four articles that Life magazine excerpted from “The Secret History of Stalin’s Crimes” last April did an injustice to their author by making him appear a sensationalist and a shadowy figure. Actually the volume under review is a serious study of the [b][b]three big Moscow trials in 1936, 1937 and 1938[/b][/b], staged by Stalin against leading oppositionists and others.I have a copy of the 1938 trial in English and this is the subject for which I write…not what Orlov, a person who has no credibility, says or wrote. In this 1953 article, we have what is called “The Moscow Trials” later called “the Purge Trials” by the West.The book I referred you to was about a real trial in Moscow open to the public. Today we have guys like Orlov who came forth to tell stories about Saddam Hussein and his weapons of Mass Destruction. They are not worth the time to debunk. Try for once to get a hold of the Trials and then debunk them. Tell me why they are propoganda…tell me why everything these guys bickered and argued about in court among eachother…tell me how all of those testimonies were staged? These guys had to be geniouses to argue and counter argue who did what and why? They were all engaged in one way or another and they all had the facts as they saw it. They either corraborated those facts or explained why they were not true. The dialog could never have been staged as you say. Orlov, did not know about these trials nor could he have known the players. He is just a CIA fruad. Obama is as good-looking as LulaÀ¢€¦. I don’t work on Wall Street; however, I understood that most of the investment banker’s personnel work there in the tall hi-rise buildings of AIG, JP Morgan and the other houses that do the dirty computer work of selling their garbage to the world? Do I have that wrong?. When all this junk is traded, aren’t there thousands of computer operators shifting it all around; closely monitoring the graphs etc.? Fill me in if I err. I used to be a big fan of Shakespeare and just finished a book claiming that someone else was he. I do remember Shylock and I remember the Jew of Malta by Christopher Marlowe. He seems to have been murdered by Elizabeth’s spymaster, Walsington. All that said, I suppose you are laying out an arguement for anti-judaism? Do I understand you? As for Stalin, he is no Baruch and they are not alike. Stalin was a great man like Elizabeth I and he had great enemies like Elizabeth. Both were forced to do what they did to their enemies.I would have done the same. If a guy like Trotsky caused famine and undermined the state using thousands of misguided dupes, how do you deal with that. Pat them all on the head and send them to finishing school like the Chinese did after WWII? What do you tell their victims whose families starved to death? I am convinced that Stalin only woke up to the threat after the assasination of Kirov and realized he was next on the list.I am convinced that the west tried to destroy him and communism.I know that he saw a number of his comrades assasinated by invisible forces and that his own security was in jeapardy all because of a dream, communism. I have many documents that show how every western embassy plotted and undermined him and I am sure that he had no illussions. The role of history makes him out to be a tyrant because he defended Russia from the wolves and destroyed his enemies. Those same Enemies, Senor, are on your doorstep now so perk up and watch out. The thing about Baruch and World Zionism was that they started this because trade in half the world vanished for them as well as their vested interests under the tsar. All their gold mines, raw materials, etc. etc. no-more with the Bolsheviks. All their ill-gotten wealth was no longer available. The new communist system dis-enfranchised them overnight. The czar that they had so ably exploited had quit. Baruch wanted Russia back in the fold of Wall Street. That is why they tried killing the Party leaders; killing the faithful; causing havoc throughout the land. They were trying to convince the people (1) that everyone hated these guys and (2) that communism was a total failure. When they lost that battle, they tried to paint Stalin as the devil. I know who the devil is Senor? How about you? Baruch didn’t care if he killed every last russian. Stalin was not going to let that happen. That was the difference between them.That was proven by the trial of the Trotskyites. That is why they were executed. Not because Stalin was a devil but because these people were poison to Russia. As for Elkizabeth, I suspect she went too far. But, still, she had those damn Jesuits to worry about. They were also cockaroaches to be dealt with. By the way, I am not familiar with the computer. I don’t know how to send images or deal with the icons below. This means you are just going to have to trust me when I say I have a picture. Believe it or not, I have pictures of Nazi Flags and Stormtroopers marching side by side with VFW holding American Flags and the KKK holding their own in New York. It defies the imagination today and no-one believes it. Jack Daniels, where were the black bankers involved in this crises and where are the headlines? Can you name names of black bankers putting mortgage backed securities together? I don’t think so. No black bankers or Wall Streeters were involved. There are a very, very few on Wall Street for your information. Do you even work on Wall Street? Aren’t you quoting Shakespeare, Mr.Daniels? Our fellow blogger, Augustus would be able to confirm it. The problem here is that Lula generalized and stereotyped all the “Blue eyed white devils” forgetting that there are plenty of such “Devils” in Brazil (In case you did not know). Obviously, he was referring to the Wall Street Bankers, IMF, etc; If he had done his homework correctly, he would not have used the term loosely. For example, I don’t think that Madoff has blue eyes.Also, there were a few black bankers. But there again, as the commentator before me said, he is a very good politician and his statement served its purpose externally to enhance his image as a world leader. Internally, not many ” Blue eyed devils” voted for him nor would vote for his third term. BTW, did Hitler have Blue eyes? I don’t recall. No, I haven’t had time to do it. Mr.Daniels, there are three ways of getting rid of your enemies. a) Quickly, like Stalin did by sending them before firing squads that ensures quick death b) Or slowly like he did by sending them to Gulags c) Or economically ruin them, like Baruch did.Enslave and ensure slow and torturous end. You being a fan of Shakespeare, you must have heard of a character by the name of Shylock. I honestly think that there is no difference between Stalin and Baruch. Birds of the same feather. its like every one kind of knows what he was trying to say , and, kind of agreed with him..
i saw him on an interveiw on the bbc and he was asked the question about it and he answered it well and didnt get grilled. he was even asked by a blue eyed english reporter at a press conferance and he looked at her and reasured her he didnt mean all blue eyed people and that the blue eyed people who did it surly affected her also. and, everyone knows obama was being charming by what he said to lula and no one is making a big deal out of it . these guys are getting a good healthy bantor going and it can only bring good things to the two countries. as far as what is going to happen…i prefer to wait and find out. i do think there is massive signs that indicate a strong dollar would be healthiar for the usa but, the things they will have to do might threaton that.i hope they pay big attention to what china could do. but, i am willing tofind out if what they can do will work. id like to see where we will be at in 4 years.and, it was a pleasure to see what obama said and how he handeled himself compared to bush. of course its all politics, and theater, but, i want to see what happens. I thought it was kind of charming in a way and definitely inoffensive; definitely, it was not racist. We all know that thousands of Westerners involved on Wall Street and in London are “White devils” who knowingly and with malice undid the world economic system. But Lula’s language was only somewhat pejorative and ubiquitous. And, when you laugh when you say it, it has none of the venom of racism or the hurt of one that is callous.I don’t really know this man nor have I ever heard him put 10 words together save the stuff that people write about him, so I do not have your advantage. I just think everyone is taking this out of context. I was wondering if you ever followed up on that book about the Trotskyites and their trials? Most of them were executed as were countless thousands who were involved in this mess but they were not Purge Trials. These people were involved in huge and unbelievable crimes. The story needs to be told because everyone has the Voice of America view that Stalin was only trying to get rid of his enemies. If anything, at least read the life of Bernard Baruch. I think he was the one behind it all. No proof though. I know that if Hitler or Stalin got hold of him, that would have been the end of poor Bernie. You may be right there. I would have felt more comfortable if he had not made the silly statements about “White skinned, Blue eyed folks”. There again,as you said rightly, he is a good politician and knows how to create a “shock effect”. Look what happened while he visited Washington last month. There were demonstrations planned by the ex-pats and it fizzled out. As far as I know, no Brasilian in U.K. demonstrated either during his visit to participate in G-20 meeting. Actually, Lula has become a cult figure among young Brazilians and we the older ones (especially those in the South) are slow to recognize it. He does indeed speak the language of the “Povo”. Only the time will say if it is good or bad for the country to have a cult figure. I think so,but there again as our brilliant fellow blogger DnB likes to say, he is a “Laranja” to fix the “crash”. Another “cult figure”!! When Lula grabbed Obama, chatted him up, and got that crack out of him, Lula defused any unstated hostilities, any plans that might be in the works against Brazil, and he opened up communications with the US even if his remarks were insulting. Lula is only trying to break the ice or get around the natural existing hotilities that co-exist between America and her friends. He’s jsut being a good politician. As for Obama’s other problems, the crash is still ahead of him. More flexible financial regulations! What will take the US govt to stop gambling people’s lives away? I could not agree with you more. Loosening “mark to market” accounting regulations is a clear sign that business as usual will remain. Said accounting regulations were designed so investors will have accurate financial information so they can make informed decisions. This will insure Level 3 assets will be a lurking time bomb for the future of the global economy. Lula needs to put his good looks to work and explain this to President Obama. The American authorities resistance to impose a much more severe control over the financial sector was confirmed also last Thursday by the approval of very flexible norms for the register of toxic assets. Pressure of American congressmen and the Federal Reserve made Accounting Standards Council approve weaker regulations. Thanks to this resolution, I didnÀ¢€™t write solution, banks will be exempted of reducing the value of toxic assets to its market value, which is nil, and instead they will be able to register their assets with an estimated value under more favorable financial conditions. This will raise major banksÀ¢€™ accounting profitability and mask losses. Mr. President, how this new norm does not promote the maintenance of the financial bubble???? Will you be around when it bursts? Ohh better, will your little puppy be around? Great way to change the corporate government in the US, Mr President. In my opinion, you are making history an if you don’t recover your sense you will be helping digging the hole of the American decline. Part 2 – Yeahhhh ! It’s because of his good looks ! So there it is… Now we know that Obama lies. I donÀ¢€™t know about you but I personally loved SarkozyÀ¢€™s response to ObamaÀ¢€™s demand for more combat troops in Afghanistan: À¢€œthere will not be more troops as our decision was made last yearÀ¢€Â. I donÀ¢€™t think the US has moral capital to plea anything. It run over UNÀ¢€™s decision against the Iraq war, it didnÀ¢€™t , and donÀ¢€™t care about anyoneÀ¢€™s interest but their super power command, now be strong, prove you are machos and get over with it already! Thanks. The following link is more complete and easier to access just by double clicking. Btw, it ain’t insulting: it’s cordial. 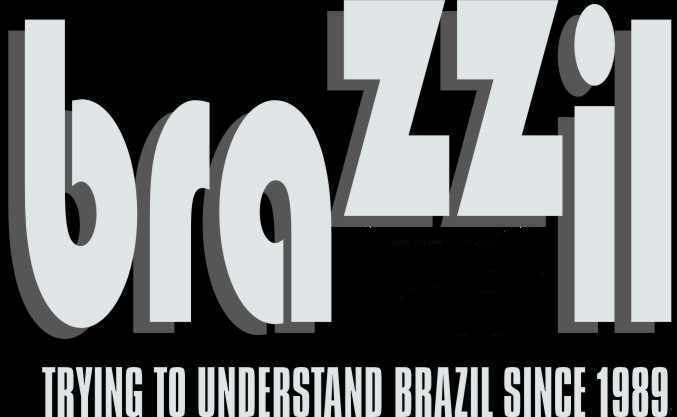 It’s what intimate friends say to each other in Brazil. Someone with some decent knowledge of Brazilian cultural politics gave Obama a very good hint on what to say, there. Passing the buck to somebody else is one of the greatest traits of a Populist and Popular Politician. No wonder he was commended by Obama who can learn a lesson or two from our great “White Father of the Poor”. Yeahhhh ! It’s because of his good looks ! Now he could have the center page at PLAYMEN magazine for gays ! But I’m sure you see the hypocrisy. Do you think that Lula was one of those visionaries who were scoffed at (ie Roubini) by warning us all of the inevitable “house of cards”? Did you hear his protests of the fraud that was inflating bubbles on the way up? Your gut tells you that Gordon Brown is really Rowan Atkinson? Interesting. My imagination is telling me that Gordon Brown is The Black Adder. I heard that he’s in disguise. His real persona is a black patch over his left eye, a scarf over his head, long hair dangling down to his bare shoulders, and a dagger in his belt. He’s a pirate of the seas like his forefathers.But more importantly, he smells.